Oppose Bullying™ is A Movement Of Like Minded Individuals™ Taking A United Stance Against Bullying Worldwide to support those who have been or are currently being victimized by bullying. Oppose Bullying™ advocates for bully victims and their families as well as bullies who are seeking change. Oppose Bullying™ also serves as a forum in which to help establish a common understanding about the causes and effects of bullying in our communities with the goal of uniting Like Minded Individuals™ in order to facilitate and help fund community based Bullying Intervention & Prevention Programs. Using 100% of voluntary donations and all proceeds from merchandise purchases, Oppose Bullying™, through Private Tutor Foundation, Inc., proudly supports 501(c)(3) Organizations offering innovative Bullying Prevention & Intervention Programs for Pre-K thru 12th grade students throughout the United States. Please contact Private Tutor Foundation if you are associated with a Non-Profit Organization seeking supplemental funds to help address bullying concerns in your community. 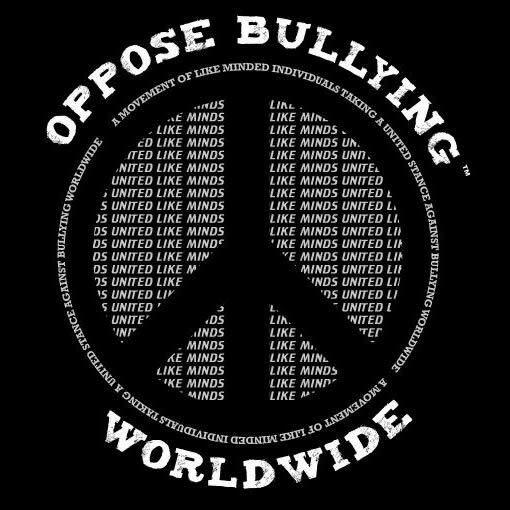 Support our Movement Of Like Minded Individuals™ Taking A United Stance Against Bullying Worldwide everywhere you go with an authentic Oppose Bullying™ T-Shirt & Wristband. Private Tutor Foundation donates 100% of all net proceeds to help fund Bullying Prevention Programs throughout the United States. Adding coffee, tea or cocoa etc. 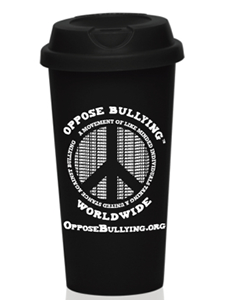 to our Oppose Bullying™ tumbler makes it an authentic Cup O' Compassion™. We invite owners or managers of potential Sponsor Shops to Contact Us for information about becoming an official Cup O' Compassion™ sponsor. Please Contact Us to recommend your favorite, local "Shop" as a potential Cup O' Compassion™ "Sponsor Shop" ... Thank you!